From year to year, Croatia has been continuously developing as a popular tourist destination, becoming in the process an equally popular sailing destination, as more and more people decide to take advantage of the spacious Adriatic Sea. The Croatian rugged coastline has generated numerous hidden bays, islets and beaches which the guests have been visiting for years now, traveling by boats, i.e. yacht charters. The Zadar archipelago and the riviera of Dubrovnik are amongst the most popular destinations. Why travel by boat / yacht charter? You are still indecisive and would like to visit as many Croatian destinations as possible, but at the same time you wish to keep a healthy dose of spontaneity? Why not think about renting a boat! This type of travel is ideal for you, if you wish to visit more than one location in one single journey. What most likely prevents you from doing so is the transportation or an unsuccessful search for an adequate accommodation. Accommodation on your preferred dates might be too expensive, not close enough to the city center and/or it just does not offer an adequate capacity? The right choice to make all these issues disappear might be to simply choose a yacht charter. The spontaneity of traveling by charter boats reveals itself in the possibility of changing direction or itinerary of the journey. If you had wished to sail to the southern part of the Adriatic Sea and visit the island Mljet, but have only then found out that there was going to be a storm - not a problem. 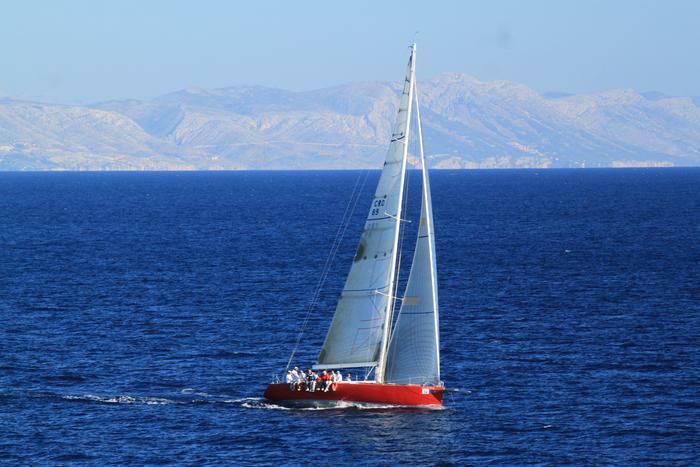 You simply decide to stay on the island Hvar for another night and to set sail towards Dugi otok in the North. We have prepared for you our special selection of several sailboats in our offer which might be perfect for your journey, within different price ranges and different capacity. We also offer you the possibility to travel on your own if you have successfully completed adequate training and are able to operate the vessel, or you might also rent a skipper who would travel with you and take care of the functionality of the vessel. Besides, sailboats available for rent offer embarkation in different ports; this information might help you plan your arrival in Croatia.